Evan Rapoport founded HedgeCo and launched HedgeCo.Net, one of the world’s most trafficked databases for hedge fund information, in 2002. In 2008, Mr. Rapoport led HedgeCo through the strategic acquisitions of HedgeCo Securities and G&S Fund Services, forming HedgeCo Networks. His latest endeavor is the development of HedgeCoVest, an SMA hedge fund platform for advisors and investors that combines real time hedge fund performance, position level transparency, brokerage account security, and flat fees. Prior to HedgeCo Networks, Mr. Rapoport was a Senior Vice President at Broadband Capital Management, a NASD member brokerage firm in New York. At Broadband, he managed assets for institutions and high net worth clients, and participated in many private placements and PIPE transactions. Before Broadband, Mr. Rapoport was the youngest Senior Vice President in history at NYSE member Oscar Gruss’ Private Client Group. He started his career in a Chairman’s Council member’s office at Paine Webber in New York. Mr. Rapoport currently holds Series 3, 7, 24, 55, 63, 66, 79 and 99 securities licenses. He has been featured and regularly appears on network news broadcasts and in leading publications like CNBC, Fox Business, The Wall Street Journal, Barron's, etc. Mr. Rapoport holds a B.A. from the University of Florida. 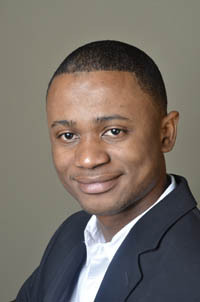 Joseph provides complete oversight of all G&S fund services including team sales, business development and operations. Joseph Goldstein has over 30 years of experience in finance and controllership. He has been the chief financial officer for more than 15 companies, in ten different industries, including senior level management positions in the following Fortune 500 companies: CitiesService Company (Citgo), in which he served as group CFO-Plastics and Special Products, assistant to Corporate Controller - compliance(Sec, FASB) and Itel Corporation, a data and financial service company in which he served as CFO of five divisions and groups. Joseph earned an Master of Business Administration in Finance and Bachelor of Science in Accounting from Long Island University and has served as an adjunct lecturer of finance in the City University of New York since 1986. 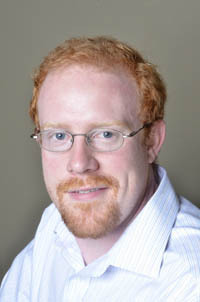 Mr. Alex Thompson joined HedgeCo in 2009 and helps oversee the operations of the firm. He spends the majority of his time with HedgeCo Securities, the firm's broker dealer, and HedgeCo Investment Management, the firm's asset management division. At HedgeCo Securities, Mr. Thompson serves as Due Diligence Coordinator and assists the management team in personnel, compliance, and sales initiatives. He also helps on-board new products for the sales team. At HedgeCo Investment Management, Mr. Thompson serves as the Director of Operations. He is in charge of risk management, brokerage solutions, investor relations, and, along with the portfolio management team, develops new investment strategies and allocation initiatives. Prior to joining HedgeCo, Mr. Thompson worked as a software analyst and financial consultant in the medical industry. Mr. Thompson earned his Bachelors of Science degree in Finance from the University of Kentucky. Currently, Mr. Thompson maintains the NASD Series 7 and 63 licenses. 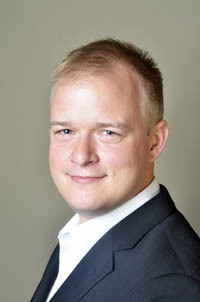 Mr. Aaron Wormus has worked as CTO of the Online division of HedgeCo Networks since 2004. Drawing on years of experience, Aaron Wormus and his team developed the HedgeCo Website platform, a revolutionary Software as a Service (SaaS) platform which enables them to quickly develop and deploy compliant, secure, and compelling web portals for their hedge fund clients. As the Chief Architect of the Hedge Fund Calculator, Aaron Wormus manages the data for the 7000+ funds, on HedgeCo.Net and other 3rd-party services which use this powerful analytic & marketing material generation tool. Prior to working with HedgeCo Networks, Mr. Wormus worked as an independent consultant implementing back-end systems for clients ranging from telecommunications companies to mining companies and Silicon Valley software distributors. Mr. Wormus studied Information Technology and Journalism in Finland, and writes technology pieces as a hobby. His written work has been published in various technology magazines, translated into 5 European languages, as well as published in a book. Aaron regularly speaks at PHP Development conferences, and is involved in the organization of his local technology user group. 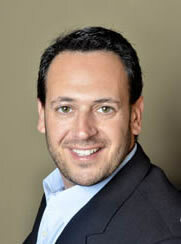 Andrew Rapoport joined HedgeCo in 2003 to head the advertising sales department. He moved back to New York City to help start the New York offices of HedgeCo and currently manages the New York office space, organizes the HedgeCo networking events and still heads the advertising team. Prior to working with HedgeCo, Andrew owned an advertising agency, was the Director of Advertising Sales for About.com/PRIMEDIA, was the Director of Advertising Sales at Classmates.com, and has also passed the Series 7 and Series 63 examinations. He as an in depth knowledge of online media with a specialty in the financial sector. at York College (CUNY). Omar developed HedgeCo's breakthrough product, the Hedge Fund Calculator and currently maintains several of HedgeCo's core websites.